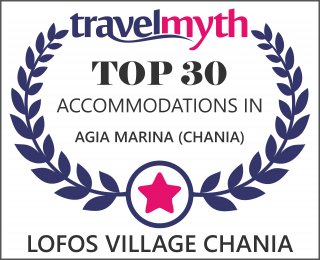 Lofos Village hotel complex welcomes you to its amazing facilities at Agia Marina, just 8 kilometers from the center of Chania. ISKIOS Villas is the new addition to our family of Villas. Only 7 kilometers from the city of Chania and 400 meters from the sea, ISKIOS Villas is the new premium destination of our group. We stayed in the suite, and everything was as in the photos and even better! The price/quality was undoubtedly good! The villa had everything such as hair dryer, iron-ironing board and safe. The bathroom was amazing too! The jacuzzi spacious and comfortable,as it should after a rewarding day and the space inside makes you feel so at home! One of my best holidays!